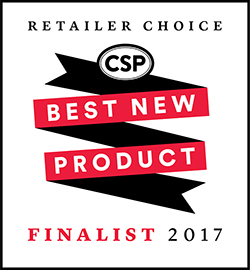 Clearwater, FL, August 16, 2017 – AccuStore’s new store scorecard feature has been selected by CSP magazine as a finalist for their 2017 Retailer Choice Best New Product Contest. The AccuStore app simplifies store audits for convenience retailers by giving them an objective, customizable scoring system along with the ability to quickly add and share photos. “The scorecard functionality sets the bar for quality and efficiency,” said Brandon Lederer, AccuStore Product Manager. “The AccuStore app’s ability to capture grades for foodservice, cleanliness or store performance on a numerical scale helps our customers drive better store-level analytics for comparison,” he added. A summary report is automatically emailed once the survey is complete. It includes percentages and point totals, as well as the ability to download the information into a PDF or Excel format to graph trends. AccuStore’s easy-to-use scorecard tracking tool provides a way to score critical store metrics. Create, view and analyze how your staff is focusing on the key performance indicators that you set up – from customer service to store marketing rollouts, product launches and compliance. See results in minutes, with photos to verify, and assess where any adjustments need to be made – versus having to send a field team to each store or collating paper reports. Voting for CSP’s contest is now open. Convenience store retailers may vote by filling out a ballot at CSPDailyNews.com/BestNewProductContest before September 8 at 5PM CST. The product that receives the most votes in each category will win an award plaque to be presented at NACS in October and also be featured in the December issue of CSP magazine. Founded in 1978, GSP is a retail services provider located in Clearwater, Florida, with three regional production facilities (Clearwater; Provo, Utah; and Madison, Wisconsin). By using surveys and a proprietary software system, GSP helps retailers accurately measure and store site data, guaranteeing the right size sign is delivered to the right store every time with no overage. GSP offers award-winning marketing, design services, visual merchandising, food photography, best-in-class graphics and smart POP program management to more than 60,000 retail locations throughout North America. Recent growth led GSP to add AccuStore, a survey, app and site profiling software brand, and the large-format graphics lab Great Big Pictures, which specializes in fashion retail. For more information, visit www.gspretail.com.